Enjoy a private day trip from New York City to Washington, DC with your own private driver-guide and vehicle. Be transported in the roomy comfort of a 2015 Toyota Sienna mini-van, with the capacity to accommodate up to six guests. This tour is value add for those who travel a substantial distance to New York City and do not anticipate returning to the region anytime soon. It is a great opportunity to visit two great cities on one trip! You will be picked up in the morning from the New York City location of your choice and be driven 4 hours to Washington, DC. You will enjoy sightseeing around Washington for approximately 6 hours, then, travel back to New York City in the evening, stopping for en route for dinner. All of the major sights in Washington will be seen in this one well-organized day. There are no additional costs for admission fees. 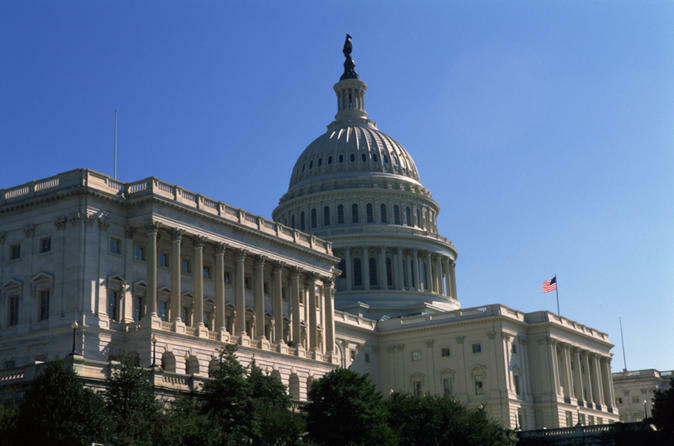 In Washington, you will tour and have lunch at the United States Capitol. Across the street from the Capitol, you will enjoy visits to both the Library of Congress and Supreme Court. You will also visit Arlington National Cemetery. If you are a citizen of the United States and are able to arrange for a tour of the White House through your Senator or Member of Congress, we are happy to accommodate that visit. If not, you will do a White House "walk by." Throughout the day, you will visit the Lincoln Memorial, Martin Luther King, Jr. Memorial and Jefferson Memorial. You will further see on the tour the National Mall, World War II Memorial, Washington Monument, Smithsonian Museums and various government buildings (i.e., Pentagon, State Department, Treasury, etc). On the return trip, you can recline in the comfort of the over-sized leather seats of your van and reflect back on your visit of a lifetime, returning to New York at approximately 10:00 PM.